Newly-signed New England Patriots wide receiver Michael Floyd had a blood alcohol level more than twice the legal limit after his drunken driving arrest last week. Floyd was arrested in Scottsdale, Arizona in the early-morning hours of Dec. 12. 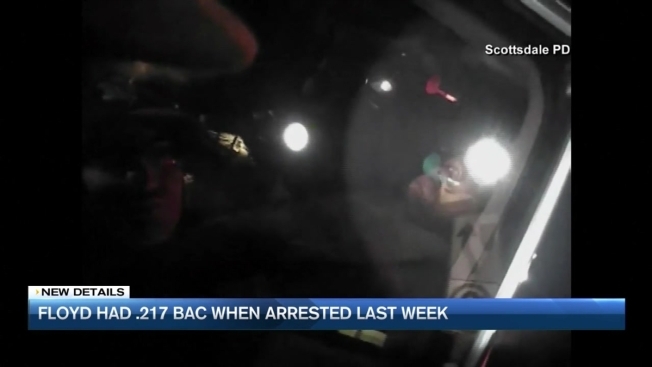 Body-cam video released by Scottsdale Police this week shows Floyd appearing unresponsive as police approach his Cadillac Escalade after they observed the vehicle stopped at a green traffic light. According to police, Floyd's blood alcohol content was 0.217. The legal limit in Arizona is 0.08. Floyd was released by the Arizona Cardinals two days after his arrest and subsequently claimed on waivers by the Patriots. 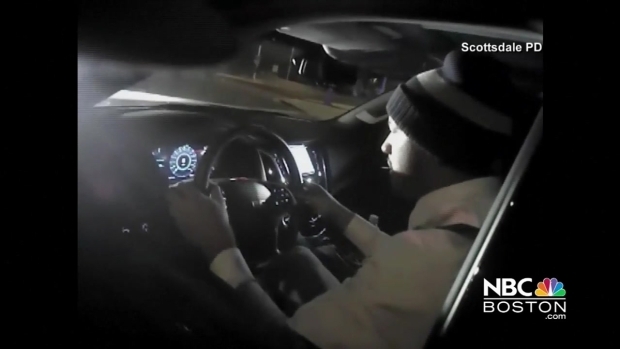 Newly released video shows Patriot's wide receiver Michael Floyd's driving under the influence arrest. Patriots head coach Bill Belichick was asked about the Floyd arrest video at a Wednesday morning news conference. "We were aware of the situation before we claimed him," he said. "He is in an ongoing legal situation that I'm not going to comment on. "We have a lot of things in our, on our team, to handle - a multitude of things that players, coaches and anybody in our organization, that could come up for things outside of football that we all deal with," Belichick added. Floyd has practiced with the Patriots, but has yet to play in a game. His new teammates expressed support, but did not say much. "We do a good job of ignoring the noise," Matthew Slater said. "We try and block that out as best we can. Obviously some of it is going to leak in from time to time, but I think Coach does a great job of refocusing us." Floyd had 33 catches for 446 yards and four touchdowns with the Cardinals this season, but also had several critical drops.